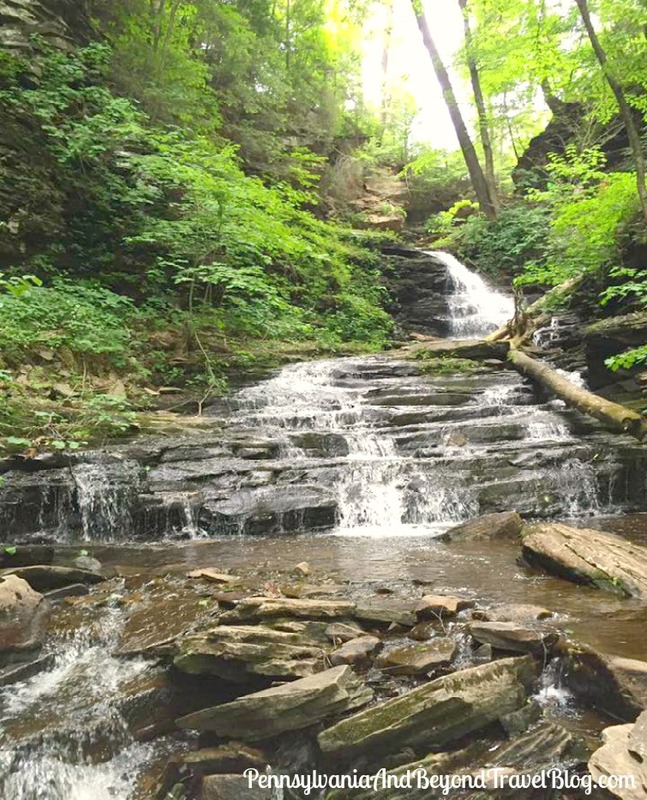 Last month we had the opportunity to do some hiking in Ricketts Glen State Park. If you've never visited Ricketts Glen, you really should add it to your bucket list. 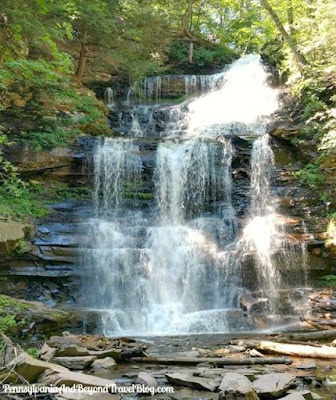 Ricketts Glen State Park is situated on 13,050 acres in Columbia, Luzerene, and Sullivan Counties in Pennsylvania. 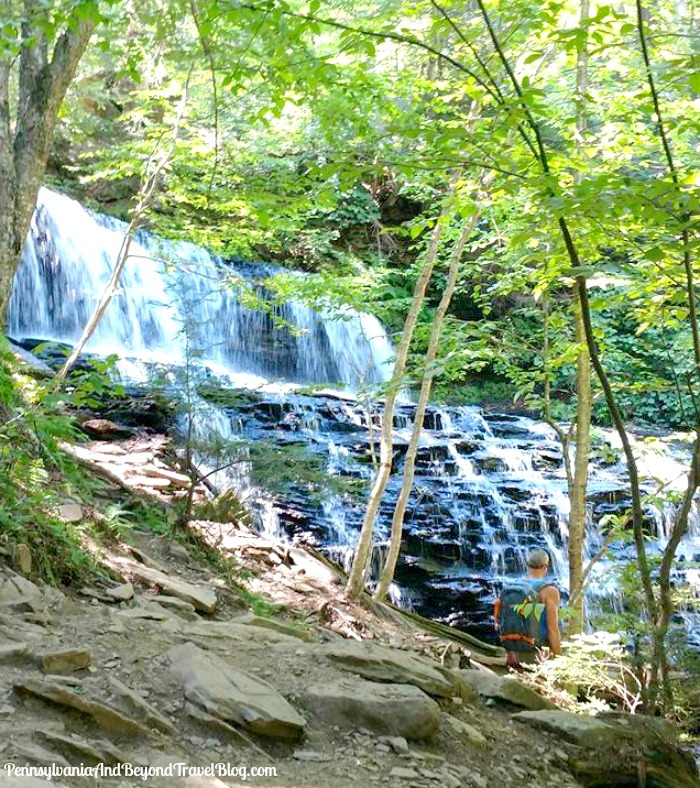 It's designated as a National Natural Landmark known for its beautiful 24-named waterfalls along Kitchen Creek. The park was fully opened as a Pennsylvania State Park back in 1944. During the summer the park offers camping, hiking, horseback riding, fishing, swimming (in Lake Jean), rock climbing, canoeing, paddle boats, kayaking, picnic grounds and hunting. During the winter season the park offers cross-country skiing, ice climbing, ice fishing, sledding and other wintertime activities. 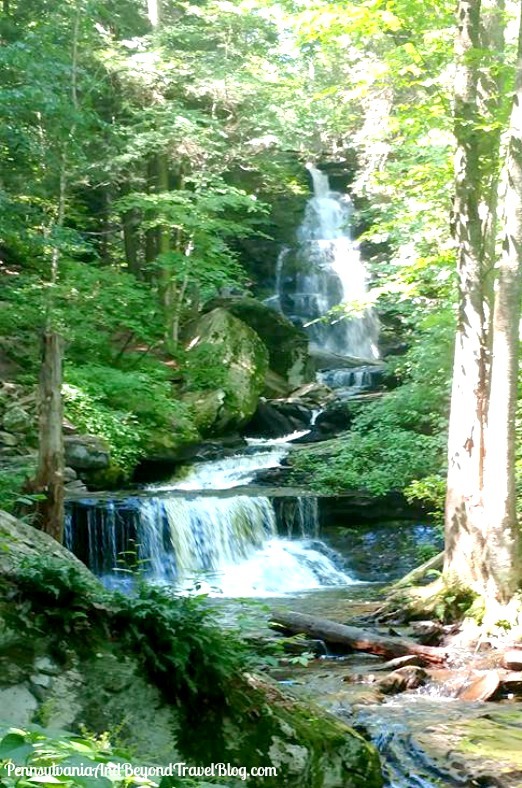 There is something always going on at Ricketts Glen State Park, year-round. History: The park is named after Robert Bruce Ricketts, the son of Elijah Ricketts who owned the land. 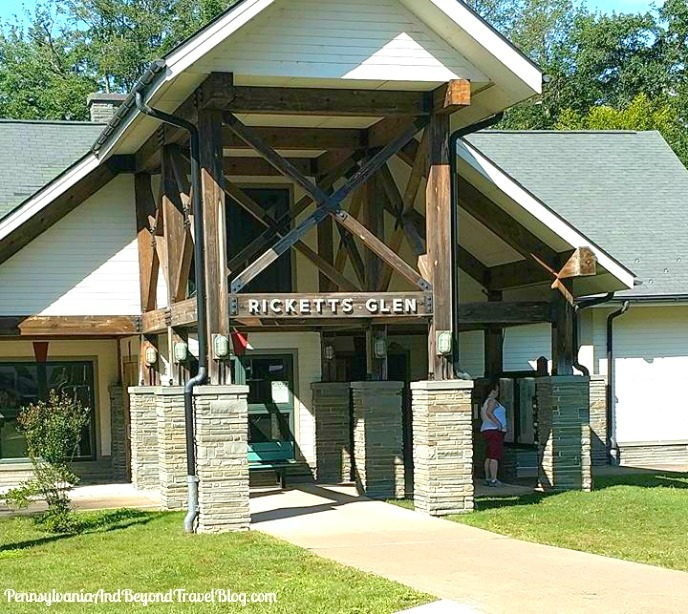 Robert Bruce Rickets served in the Union Army during the American Civil War and after the war ended, he returned to the area and in 1869 he purchased the land around the lake from his dad. Over the next few years he purchased even more land, which included the waterfalls, the glens and a good majority of the park. R. B. Ricketts passed away in 1918 and that's when the Pennsylvania Game Commission purchased 48,000 acres from his relatives (heirs). This land became most of Pennsylvania State Game Land. There was approximately 22,000 acres still left in the family's control. In 1941, Pennsylvania Governor Arthur James signed legislation creating Ricketts Glen State park. A year later the state of Pennsylvania purchased the land and opened up the park to visitors and guests. If you plan on going hiking in the park, I personally recommend that you don't do it on the hottest day of the year. We went in late July and even though we were shaded a lot in the park, it was dang hot! It was between 82 and 94 degrees, depend on which area we were in. Next, you always want to carry enough water and high-protein snacks along with you. Some of the walking trails are fairly easy, other's are more intermediate and some are for more experienced hikers. You definitely want to wear comfortable walking shoes and I personally recommend that you stay on the marked path's and don't wonder off of them. We're NOT hiking experts, but do enjoy going out hiking a few times every year. In total, we spent around 6 hours hiking on the particular day that we were there. I'm thankful that I planned ahead and brought snacks, bottled water and a picnic-style lunch along with us. Next time around, I'll plan better for the weather because at times...it was just entirely too hot for me! Sigh, I guess I'm getting old! 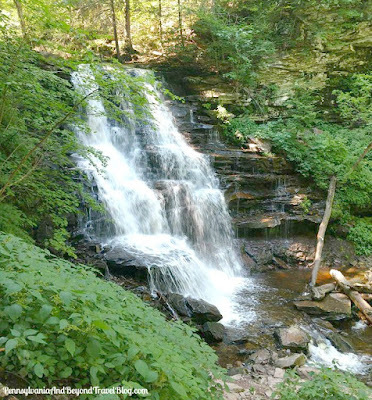 You can learn more about Ricketts Glen State Park by visiting their official website online. We had a great time there and we'll be planning another hiking trip for next year too!